So, this post was designed for one of our fans – let’s call her Rachel – and anyone else who wants to know about removing duplicates in Excel. The following table contains multiple cases of duplicates. Similar to Rachel’s request, they are the names of companies in a sales document. 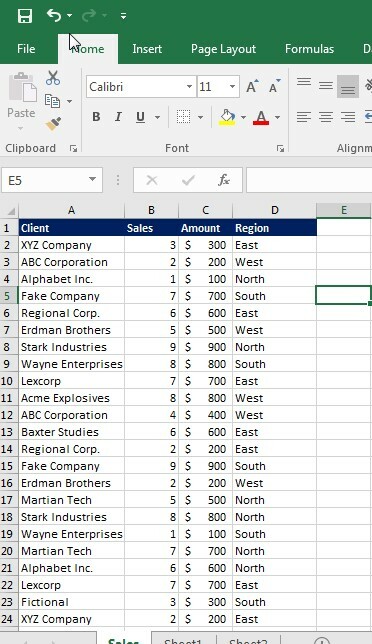 Excel will automatically remove all duplicates. Now you and review and count the total unique values within the range. We here at Learn Excel Now hope you now feel confident in removing duplicates in Excel. This useful tool is great for running quick analyses, finding unique values and cleaning up datasets for other functions or formatting. Like Learn Excel Now? Sign up for the e-newsletter to receive weekly Excel tips and special offers just for you! And don’t forget to follow us on social media and share our Excel tips with your networks! but what if I want to know how many times each duplicate appears, e.g. how many times each company had a sale? If the list is short I can do a “countif” function and enter the individual names as criteria, but that does not work if the list is really long with many hundreds of different entries, each with a different number of replicates. Is there an easy way to do that?